The anointing oil was produced after the art of the apothecary and it was manufactured with different spices. Each component of the anointing oil is very significant and is symbolic of particular attributes and characteristics of the Holy Spirit. The anointing oil was used to anoint priests, prophets and kings into their respective offices. They were ordinary men and women before being anointed but after the anointing ceremony, there was an impartation of divine and extraordinary virtues, gifts, characteristics and attributes into their lives. Today, the anointing oil is used as a medium for the transmission of the power of God. 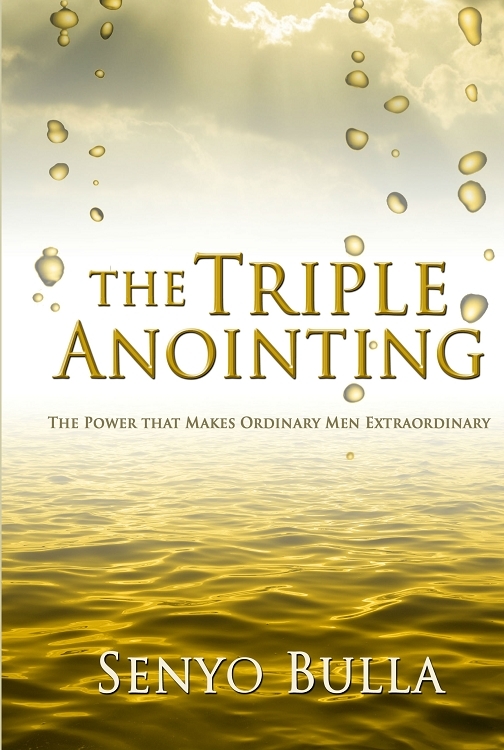 In this powerful, exciting and life transforming book on the triple anointing, you will receive revelation on the mystery of the anointing oil, the components of the anointing oil, the influence of the anointing, what happens when the anointing departs, how to increase in the anointing, the power that makes ordinary men extraordinary, the priestly anointing, the kingship anointing, the prophetic anointing, the elder brother syndrome, the spirit of Saul, the dangers in trying to operate an anointing you have not received, the anointing and music, different dimensions and operations of the anointing and much more. Very few people in the Old Testament experienced the “Triple Anointing”, and David the son of Jesse, the king of Israel was one of them. The scriptures reveal that David was anointed three times. The first anointing was by Samuel in the presence of his brethren. The second was by the men of Judah and the third was by the men of Israel. Every new level of the anointing lifted him into new levels of authority which were accompanied by new levels of tests and trials. He operated as priest, prophet and king. He operated in the triple anointing in different dimensions. The New Testament believer has access to the triple anointing and this anointing gives one the supernatural ability to function as a priest, prophet and king. This book is a masterpiece that will transform every dimension of your life and lift you to where you belong in your prophetic destiny. Order your copy now!